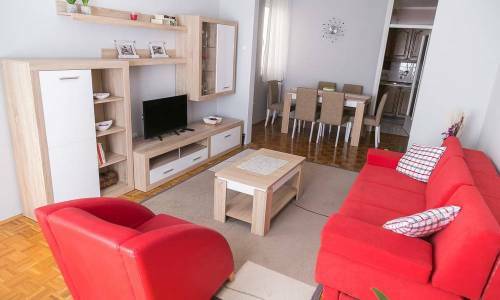 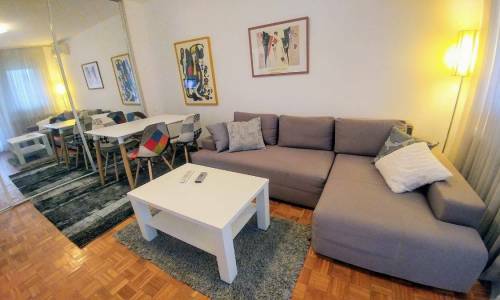 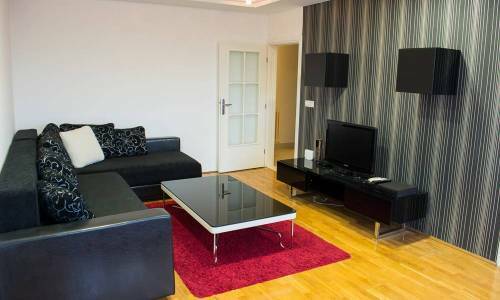 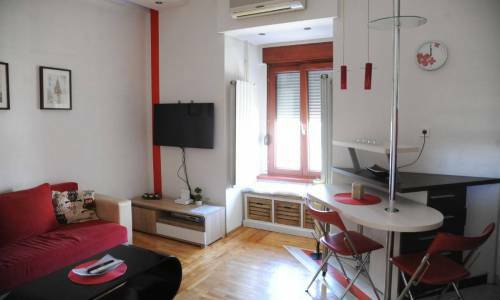 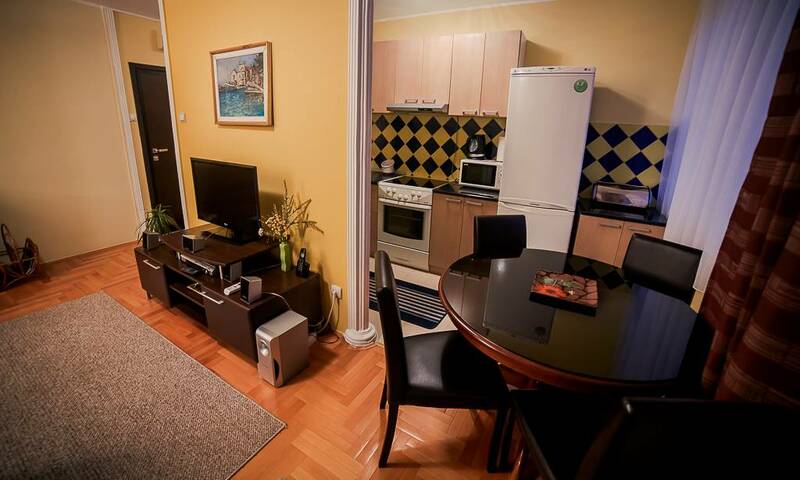 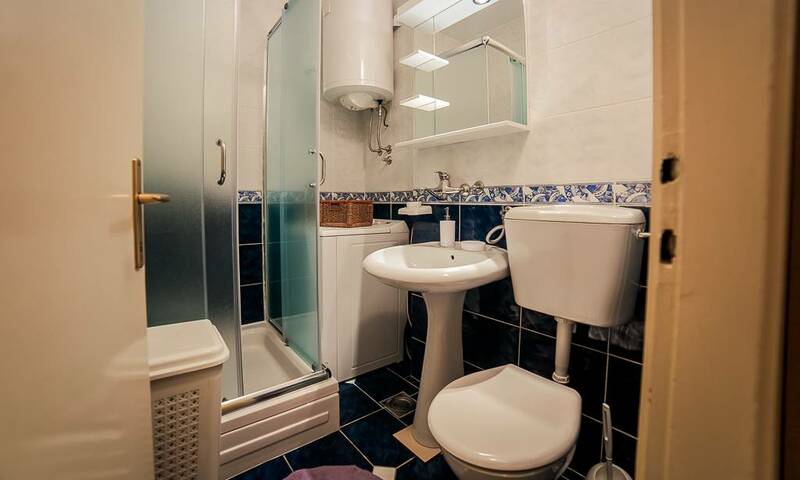 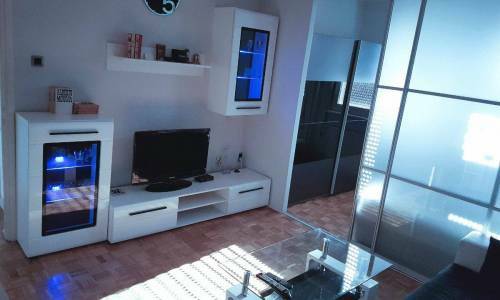 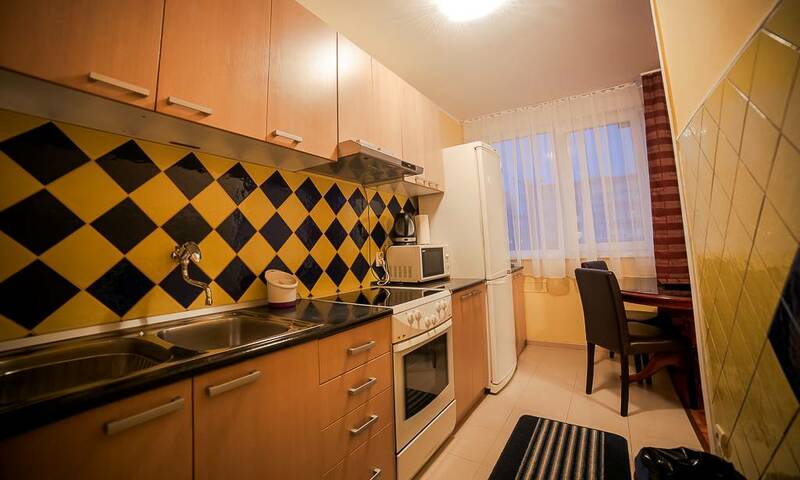 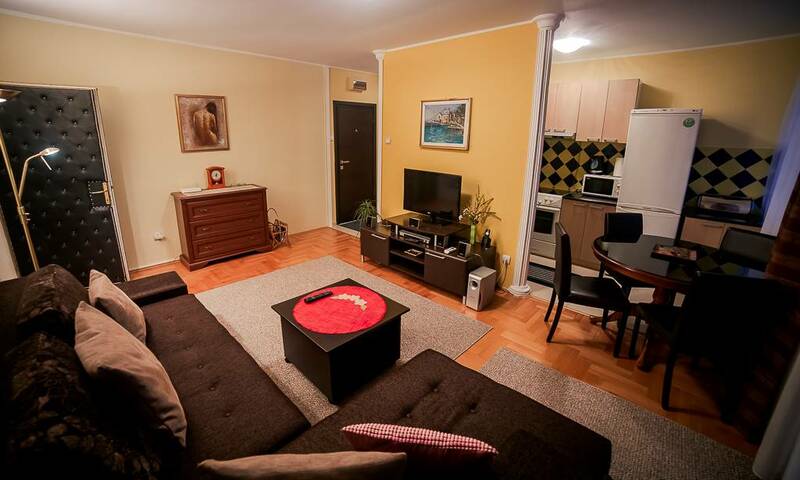 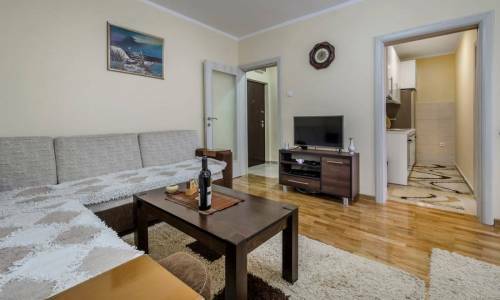 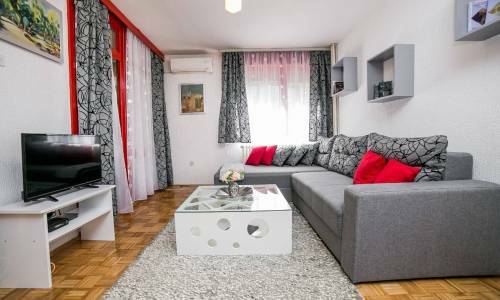 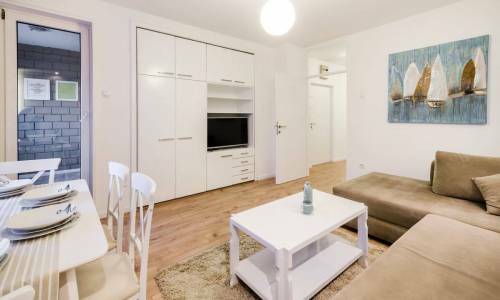 Apartment Savana is located behind Stari Merkator shopping centre, and 300m away from the Hotel Jugoslavija and Zemun quay. 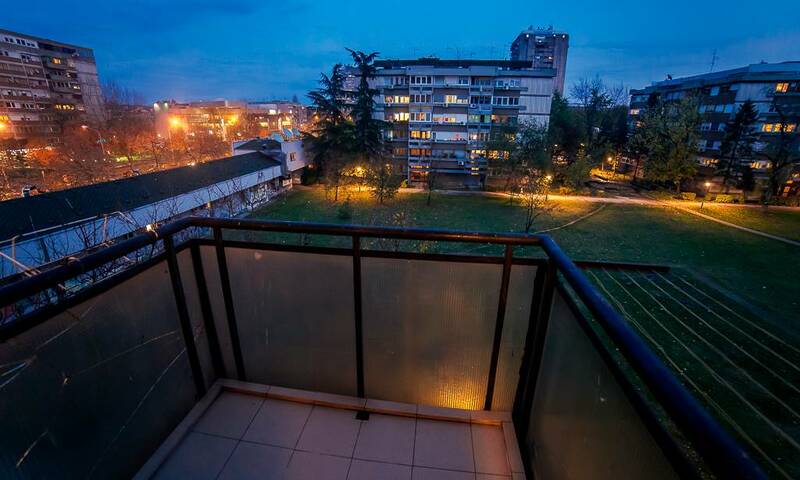 Near the apartment you can see the faculty John Naisbitt (former Megatrend), New Belgrade Health Care Centre, the Hotel Tulip In, former Hotel Putnik. You can reach the Zemun quay within a couple of minutes of light walking. 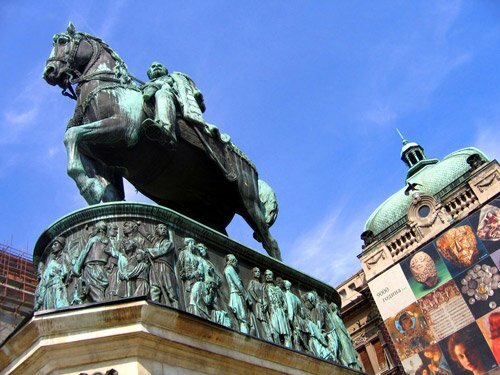 The quay is one of Belgrade attractions and there you can enjoy the Belgrade night life in famous river clubs or have lunch in some of renown restaurants. 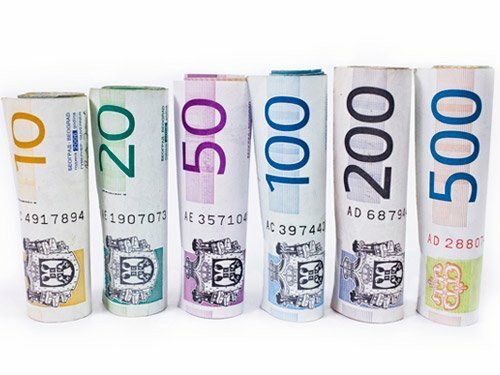 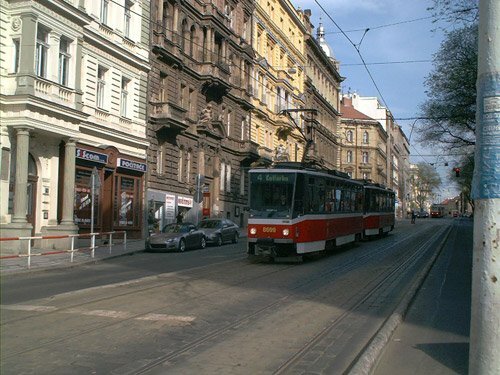 There's also a famous Goce Delčeva street (also known as The valley of hunger, or the Fast food avenue, where you can try the excellent šiš kebab and other specialities. Apartment Savana has two rooms and is intended for 4 persons. 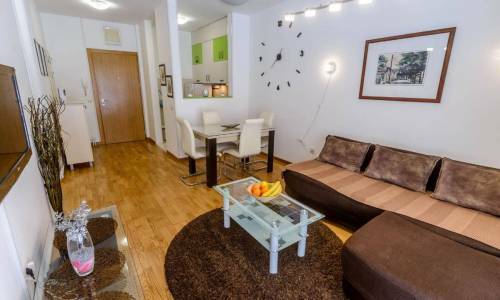 It has the area of 48m2, a living room, bedroom, bathroom, kitchen and terrace. 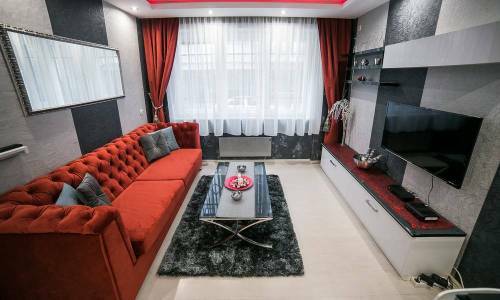 The sofa in the living room can be folded out into a comfortable bed for 2 persons, and the double bed offers room for 2 more persons. 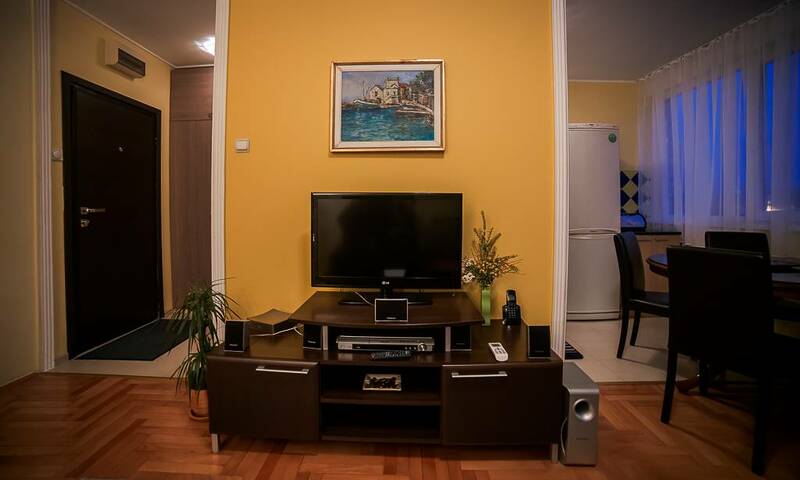 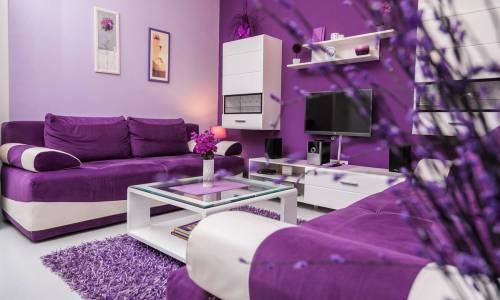 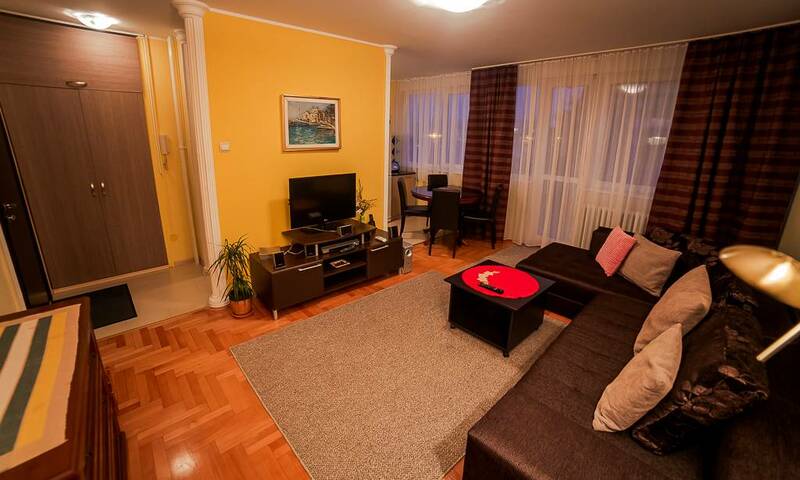 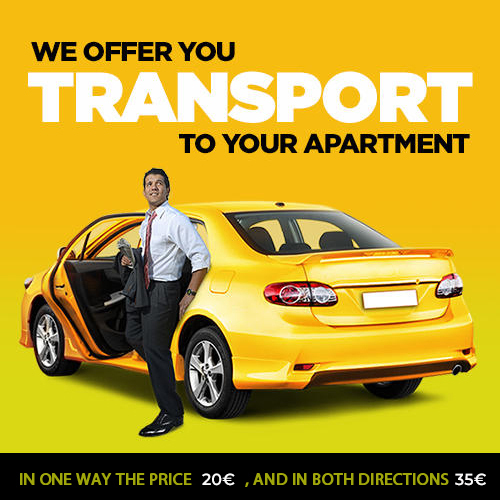 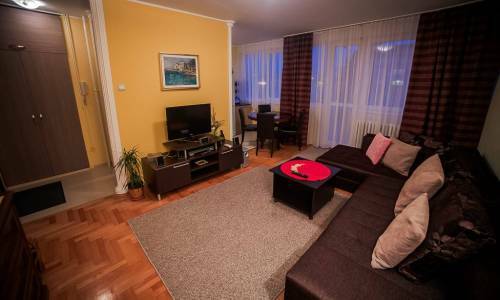 The apartment has central heating, air condition, cable TV, Wi-Fi, LED TV, home cinema set. 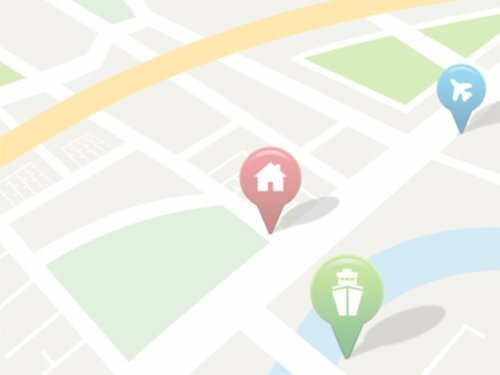 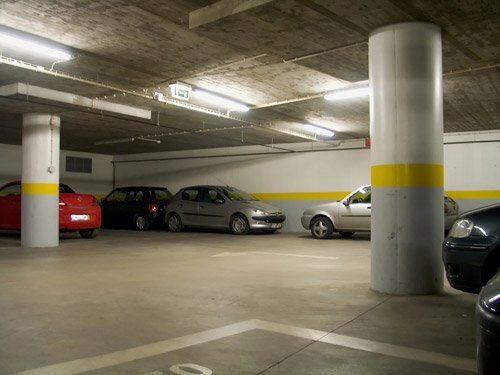 If you're arriving by car, there is always a free parking in front of the building.